The earliest recorded surfing event occurred in South Africa, at Muizenberg, Cape Town, in 1919. A Capetown woman by the name of Heather Price befriended two United States Marines returning aboard a U.S. naval vessel, from World War I. The two Americans had with them a solid wooden “Hawaiian” style surfboard which they used at Muizenberg and which they also encouraged Heather to ride standing up. In later years, Ross Lindsay’s wife Kay (Heather’s niece) visited her in Zimbabwe before her passing. At that time, Heather gave Kay the images that document the event. She said emphatically that “she surfed standing up” and made it clear that she advanced beyond lieing down flat on the board. Also in 1919, Tony Bowman, a World War I pilot, returned from England to South Africa. After working in Johannesburg, he settled in Capt Town in 1921. Some time after 1922 and reading Jack London’s The Cruise of the Snark – where London described George Freeth and surfing at Waikiki – Tony determined to ride some waves of his own. He set about building a surfboard, which he later described as a “boat,” that he and his friend Tommy Charles could ride together. With Tony “paddling madly,” Tommy steered. From Tommy Bowman’s memoirs, he recalled “some time later” that he wrote the Honolulu Tourist Association, requesting surfing pictures, so that he could deduce the dimensions of the boards being used at Waikiki at that time. 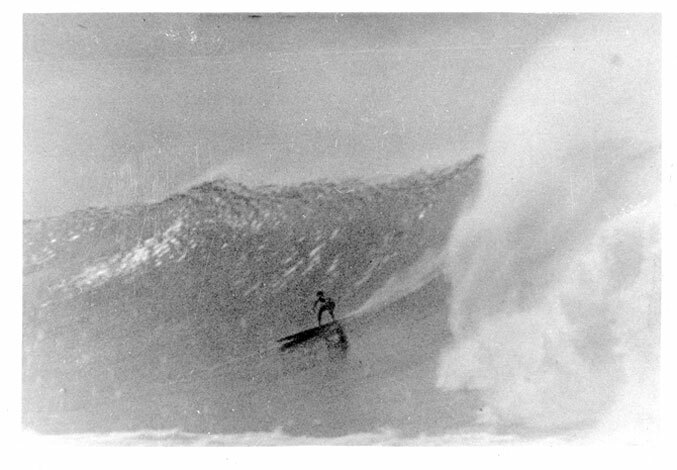 World War II slowed South African surf craft design and development, but Fred Crocker kept with it. 1 Gault-Williams, LEGENDARY SURFERS, Volume 1, 2005. 4 http://surfingheritage.co.za/site/our_history. Quote from the website write-up. 7 Souvenir Program of the South African SLSC Championships, hosted by the Pirates SLSC, held at Country Club Beach, Durban, 21 April 1957. Parenthesis may not be from the original program. 8 www.surfski.com viewed in 2010. 9 http://surfingheritage.co.za/site/our_history. Gabie Botha quoted. Parenthesis may have been added later. 10 Souvenir Program of the South African SLSC Championships, hosted by the Pirates SLSC, held at Country Club Beach, Durban, 21 April 1957. 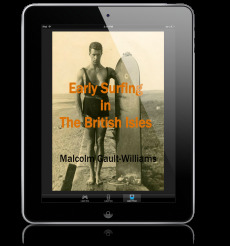 11 Gault-Williams, LEGENDARY SURFERS, Volume 3: The 1930s, 2012, ISBN: 978-1-300-49071-5. 12 Young, 1983, p. 51. 13 Maxwell, 1949, p. 245; Bloomfield, p. 69; Harris, p. 56. 14 Young, 1983, p. 60. Wally Froiseth quoted.